This is the next installment of my pre wedding shoot series. Add something like a specific colour to run through the shoot and to tie in with your Actual Day. Wendy and Greg have a theme of Red and White for their wedding coming up soon in South Africa. 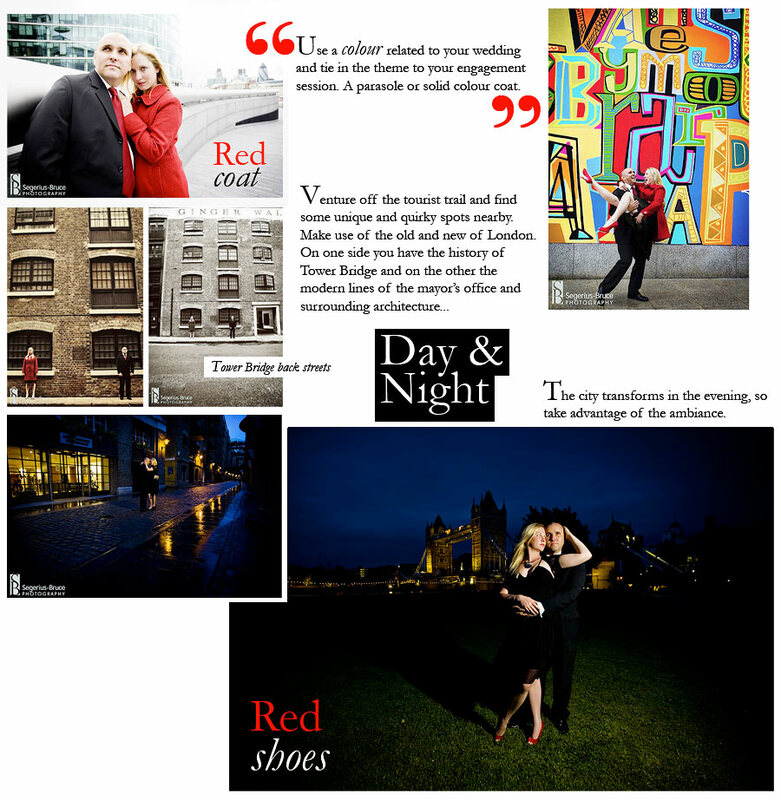 They added in a few things like the red coat, red parasole and red shoes to link up the theme of the wedding. I have been thinking that doing some pre wedding or post wedding shoots in South Africa with the animals in the game reserve as it would be really unique. The Game Reserve where they are tying the knot does not have any predators like Lions or Leopards, so it would be safe to get out the car and do some creative shots with animals like Giraff, Zebra and White Rhino (yes they do have Rhino!). We will be in South Africa covering two weddings for a month from 15 March – 15 April 2010. 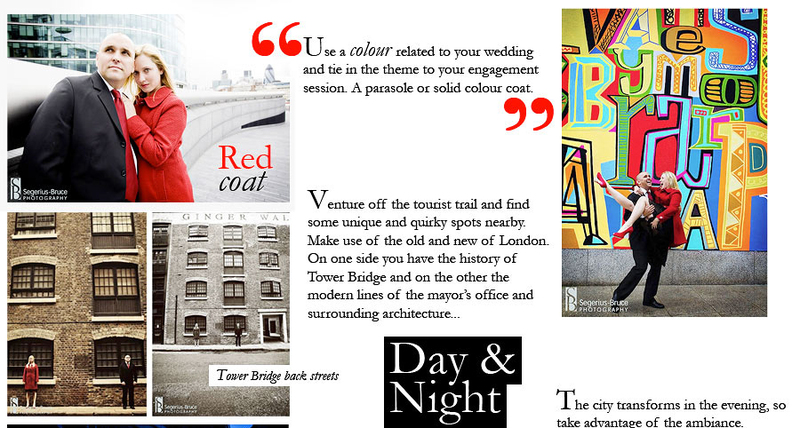 London Pre Wedding shoot location ideas include Tower Bride, The Mayor’s Office as well as the cobbled back streets surrounding the edge of the Thames near Tower Bridge. Love this Chanelle – the actual images as well as the formatting/layout and use of font/colour. Really unique and very very cool!